Much of entrepreneurship literature encourages us to focus on finding actual problems worth solving, but, how do we know which problems are worth solving? 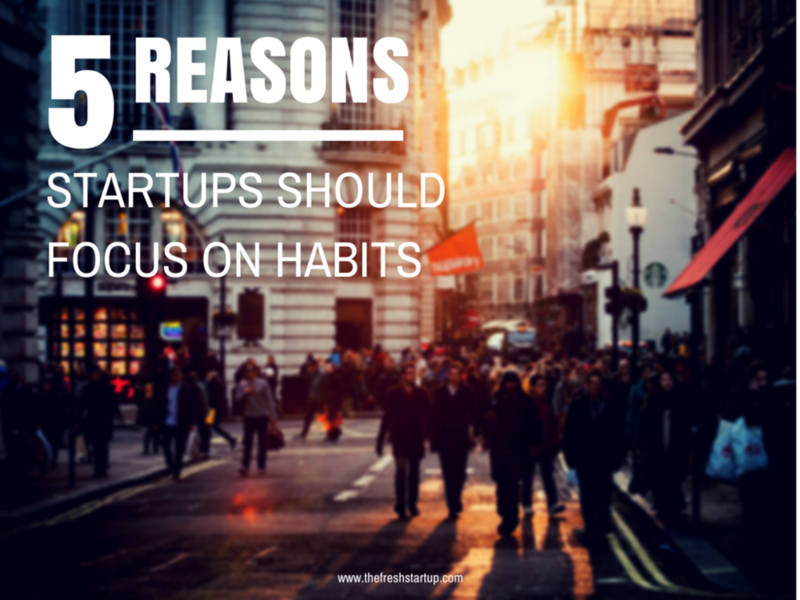 A good rule of thumb would be to focus on your customers' habits and here's five reasons why. We read a lot about User Experience Design and Human-centric Design being the new focus when developing solutions, but what many startups sometimes forget to do is understanding how the solution is functioning within the user's life (not as a functional solution but a part of the user's life routine and flow of actions). I refer to this as User Habit Design. Take the solution and its functionalities out of the way, and focus on the user's journey around the problem you are trying to solve, their habits and, most importantly, their emotions while facing it. Here are some examples of how solutions might not be "accepted". If your solution is not a habit the user is looking to improve/change, even if you're solving an actual problem, it is highly unlikely that it will last in the long run as the novelty of your solution will eventually dry out. In short, you've got a cool idea but it's not that big a problem. Or if your solution requires an entirely new habit to be formed and which only works with your solution, it is highly unlikely it will organically sustain. The "new" behaviours "created" by successful startups (e.g. Uber, Facebook, Twitter, AirBnB) that we are familiar with today were incremental evolutions from existing behaviours. They were not created from scratch nor did they require a huge change in our existing behaviours. If your solution can relate with an existing behaviour and requires only incremental change in behaviour, there will be a higher chance for your startup to succeed. If you have large coffers of investment and time allowance, you may be able to create new behaviours over 5 to 7 years before getting customers to truly appreciate your solution (e.g. Square, Tesla) - but if you're like most startups, this is a luxury you probably do not have. When your solution clings onto your users' existing behaviours, it is more likely that you'll see users coming back to you more often. This significantly reduces your retention costs, and the need to run promotional campaigns just to get your users to come back to your solution. Nir Eyal's book "Nir & Far" explains how to tap on existing user behaviours, create incremental behaviours and "hook" them back to reinforce such behaviours. To get higher retention rates, focus on your user's journey and build solutions for habitual problems. Most lean startups would be running a new experiment every other day. If your solution is only used once a year (e.g. when going for that annual holiday trip) or even once a lifetime (e.g. when getting married), it is very difficult to get measurable feedback. Efficient measurable feedback means being able to efficiently contrast your users' behaviours from before the experiment was conducted and after. By working with a core group of users as they grow with your platform, you are able to focus on serving an identifiable group of core customers. With so many new product ideas and startups out there, you do not want to spend too much time explaining the core benefits of your product to your customers. It has to be apparent to them. If the problem is a habitual recurrence, it is likely that they will buy into the product just by listening to your elevator pitch. However, if its not a habitual recurrence, you'll face a lot of resistance from users with a "I can deal with the problem" or "I'm not the core customer but I believe others will use it" mindset. Many startup founders I speak with tend to gravitate towards the belief that when this happens, it's because the benefit is not explained clearly enough. They think, "once the user experiences the solution, they will fully appreciate its benefits." I believe this to be a fallacy. If the customer doesn't appreciate the benefits your solution can offer, it is most likely on the wrong track. Most of the startup community evangelise being agile and lean, but much of this is explained in context of building an Minimum Viable Product. Startup founders and team members have to understand that your product doesn't drive your startup. You're looking to solve a problem for a customer – if your product doesn't work, scrap it and start again. By being open to building several MVPs to test against a customer group instead of focusing on improving that one (possibly failed) product, a startup is more likely to discover the right solution that customers are looking for. 5 startup tips from Jon Favreau's movie "Chef"
After leaving the head chef position at a prominent restaurant in LA, Carl was stuck trying to figure out what to do next till he decided to take a chance on an abandoned food truck. I assume running a scrappy food truck is far from what any head chef would consider a successful career, but who knew that this would be the path to having his own restaurants in the future? An even bigger twist of events is when Carl's "social media enemy" became his first investor. Entrepreneurship is a journey. New challenges and uncertainty will constantly hit you right in the face. Be ready for them and hustle on. Believing in what we do gives us strength for the tough times. However, blind belief will not be able to guarantee your business' success. Test your product with actual customers. Carl didn't just drive his food truck straight back from Miami to LA where he intended to be based out of. He tested his cuban sandwiches with actual customers along the way, and even made changes to cater to the varied local tastes. Constant testing is the only way for us to learn what our customers want, what they dislike and what they are willing to pay for. Most of your tests will fail, but this will just bring you closer to success – after all, there are only so many ways to make an awesome cuban sandwich. This is especially important during the early stages of your startup – everyone needs to be on the same page and believing in the same thing. When Carl's son, Percy, thought that it was alright to serve a slightly burnt cuban sandwich to the customer, Carl had a serious conversation with him. Carl's vision was to deliver the best cuban sandwich experience to his customers and he needed Percy to share the same vision. When your vision is aligned, your team is able to efficiently deliver on that shared vision without you having to check in on them consistently. A shared vision builds trust and efficiency. There is no doubt that Percy's tweets and vine posts played a huge role in Carl's food truck success. Carl's social media drama with an influential food blogger gathered many followers for him, and it was a genius move by Percy to leverage on that. However, what connects Carl and his crew to their followers was how Percy humanized the brand. By posting behind-the-scenes images, tweeting their next location and menu items, it is easy for their followers to feel like they are a part of the experience. So the next time you tweet something – ask yourself, how would a 10-year kid do it? Keep it simple and relatable. While running your startup, it is common to wear multiple hats which means you'll have to pick up new skills and do things you've never done before. Although this lesson might not be obvious from the movie, to prepare for the role, Jon Favreau actually went for culinary lessons and worked in the line for food truck master Roy Choi. Why did he take lessons when he could have had a double perform those perfect slices of onions? That's because Jon believes in bringing out the authenticity of every character he portrays. The determination to learn and desire to do it as well as others who have mastered the craft is important when you start your own business. Eventually you'll have to hire a team and delegate responsibilities that you are weak in so that you can focus on your strengths, but until you are able to do that, keep learning. Constantly teach yourself new skills and refine your current repertoire. It'll be tough but worth it. Yes, Hollywood isn't exactly the Harvard for startups. As a Hollywood movie, we expect a good ending despite the struggles throughout the show and everything is always clearer in hindsight. However, I still find myself being inspired by such a simple feel-good movie. If you have seen the movie, what do you think? Tim Aton said "I can accomplish anything." and he did it. What about you? In my very first article, I urged aspiring entrepreneurs to stop procrastinating and jump right into their startup journey as soon as possible. But how do you get it started? Although there is no one-size-fits-all method, here's mine. This is especially important when you don't have a particular idea you would like to work on yet. When we only focus on creating the next cool product before finding real problems that are worth solving, we tend to end up with "solutions" that don't make any meaningful impact to other people. So open your mind - focus on understanding how people and things interact with one another. By observing real people instead of tinkering with ideas behind a desk, inspiration will come to you in various forms -- be it from the disgruntled stranger at the mall having a problem with a dead phone battery (possible solution: card-sized mobile battery packs) or a stressed-out colleague at work (possible solution: a game to beat up a virtual avatar of your boss). Dig deeper, and gather clues from every single event that happens around you. Be truly interested in the lives of others -- this is where you might find your next great idea. Even if you do not find any ideas that you're passionate about, you would have built long-lasting and meaningful relationships. After finding an idea, you should share it with everyone. Many people choose to keep ideas to themselves, in fear that they would be "stolen". Truth is, most successful businesses are not based on novel ideas, and almost every idea is a variation of some other existing solution. The top reason for startup success is great execution, and we should be focusing on the mastery of this skill instead. By speaking to more people, you are able to see how different people react to your idea. Who was able to immediately relate with your idea or connect it with a problem he/she recently faced? These will most likely be your primary customers. Start breaking it down further to get a feel for how big an impact you can make, and always empathise! Remember, it is not what you think the problem is; it's about understanding the user's experience of the problem. Do not let your interactions end with simple questionnaires because the insights you gain can only go as far as the length of your questions - instead, try observing how people react when they face the problem. The bigger the negative reaction, the more likely they are willing to pay the right solution. Your next step is to build a landing page (try Strikingly, Launchrock, Shopify and/or QuickMVP) and send out e-mailers, Google Ads or Facebook Ads to get more external validation and bring life to your idea. Imagine how your solution would look like and make quick mockups on your landing page. Many of us call this the Wizard of Oz technique -- no one needs to know that you do not have a functional solution, you just need to know who is interested to pay for it. Remember to collect their contact details so that you can communicate your progress to them. Communication with alpha customers is crucial at this point. If you do a good job, these alpha customers will turn into your first batch of brand evangelists! Now that people like what you have faked, it's time for you to try to kill it. This sounds counter-intuitive but it allows us to take a step back and understand the business. By exposing all the critical assumptions of your startup, the gaps in your skills and the flaws in your business model, you are better prepared for the future. Here are some questions you should ask yourself. Is the barrier of entry too low? Is the cost of running the business way too high? Does the revenue model make sense for your or any investor to support the business? Do you have the right expertise to grow the business? Are there legislative issues you need to deal with when running the business? What are the operational requirements for you to get it up and running? Is the market large enough? You made it this far. You are convinced that you are able to take this business to another level even after trying to kill it by exposing all the gaps in your skill sets and your understanding of the business. It's time to flip the switch and turn all those alpha customer signups into actual paying customers. Congratulations, you have founded your startup! Of course, you'll need to continue validating the assumptions around your business - we'll talk more about that another time. For now, grab a cold one and celebrate the birth of your startup.